Looking for a bit of artistic inspiration? 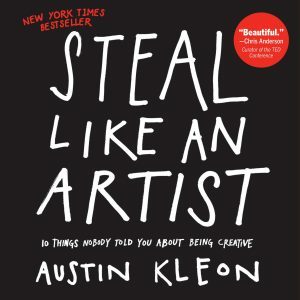 Check out Austin Kleon’s best-selling Steal Like an Artist. Although short, it’s jam-packed with thought-provoking graphics, words of wisdom from other artists and lots of good advice. This entry was posted in Books and tagged Austin Kleon.